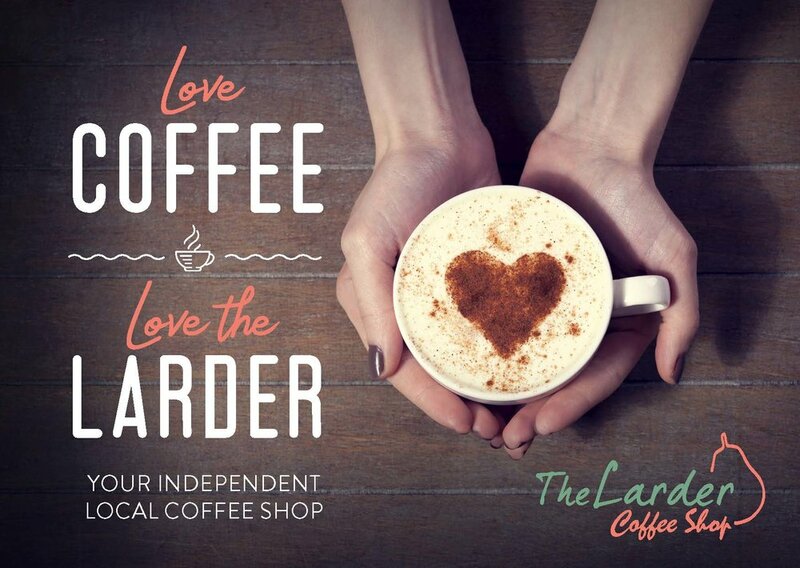 We are delighted to welcome you to The Larder Coffee Shop at Brewster Square, where you can buy the most delicious specialty teas and coffees, home baking and home made soup served with freshly baked bread and rolls. Whether you fancy a catch up with friends or family over a hot drink and some home baking or an alternative for those who work from home our Coffee Shop has something to offer for everyone. You can sit in or take away depending on how busy your day is. If you are having a really busy day you can phone your order in and have it ready to pick up at a time that suits you call us on 01506 412819. All of our food is prepared, cooked and served by our trainees and 100% of profit goes to helping disadvantaged young people into work. The cafe is open from 9 am to 2 pm Monday to Thursday and 9am to 3 pm Friday. A Scottish morning roll served with 3 slices of smoked back bacon. A Scottish morning roll served with a slice of Lorne sausage. A Scottish morning roll served with either 3 slices of bacon or 1 x lorne sausage and a fried egg. 2 poached eggs served on hand crafted white or brown toast with butter/sunflower spread. 3 eggs scrambled served on hand crafted white or brown toast with butter/sunflower spread. Served on either white or brown bread and a small side. Fillings include: Tuna Mayonnaise. Cheddar Cheese, Honey Roast Ham, Coronation Chicken. Optional extras are Onion and Tomato. Ham and cheese sandwich dipped in egg and fried served with a small side salad. 100% OF ALL PROFITS GOES TOWARDS HELPING YOUNG DISADVANTAGED PEOPLE INTO WORK.